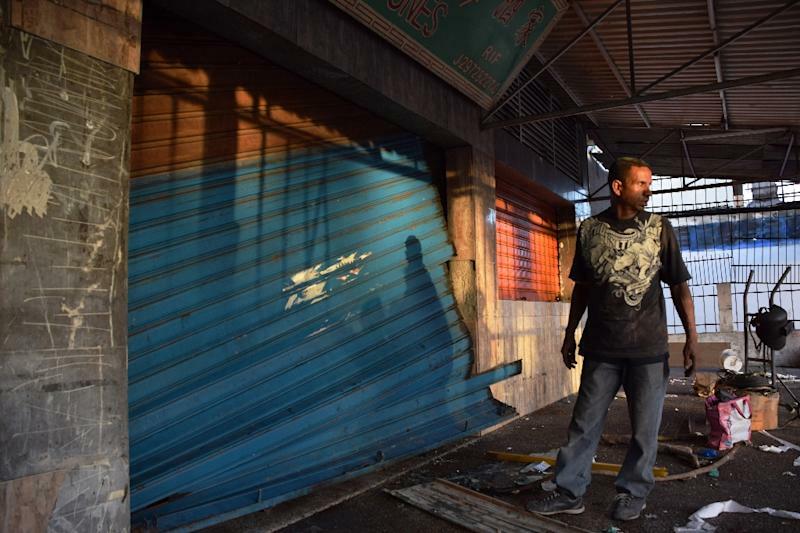 Caracas (AFP) - Residents barricaded their shops Friday in a Venezuelan city hit by violence after the country's food crisis erupted into deadly looting. The unrest came days ahead of a new key stage in the opposition's bid to remove President Nicolas Maduro from office: the authentication of signatures calling for a recall referendum. Police arrested hundreds of people in the latest unrest, which heightened hardship and political uncertainty in the impoverished oil-producing nation. Some shop owners welded their shutters closed in the old colonial city of Cumana, where dozens of stores were looted on Tuesday. The Caribbean coastal city is the latest flashpoint in a crisis that has killed at least five people so far. "It ended in total ruin because the businesses had not only their stock pillaged but also their furniture. It was total destruction," said Ruben Saud, president of the Cumana Chamber of Commerce. The army was sent in to keep order in Cumana after Tuesday's outbreak of looting, which erupted during a protest against food shortages. The chaos started when gangs of looters on motorcycles raided trucks transporting supplies. "They were beating and robbing drivers. They pillaged trucks, bakeries and supermarkets," Saud told AFP. The state governor said more than 400 people were arrested in Cumana. 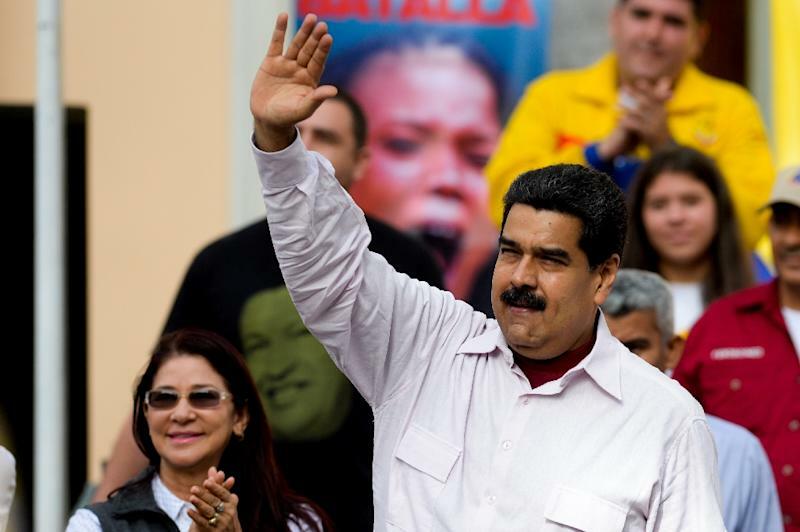 President Nicolas Maduro blamed the disturbances on his political opponents. He warned that those detained in the looting would receive tough penalties. "They wanted to impose anarchy and madness," he said in a television and radio broadcast late Thursday. "They are in jail and will be tried. They are facing charges that could bring up to 20 years in jail. I have ordered the toughest jail sentences possible." In Cumana, housewife Mari Febres, 45, was waiting for news of her two daughters who went missing during Tuesday's disturbances. "They went out into the street to look for food for their children," Febres said. "The police have them but they won't tell me anything. I have six grandchildren who want feeding. Two of them are still breastfeeding." At least five people have died in disturbances in recent days, according to the state prosecution service. 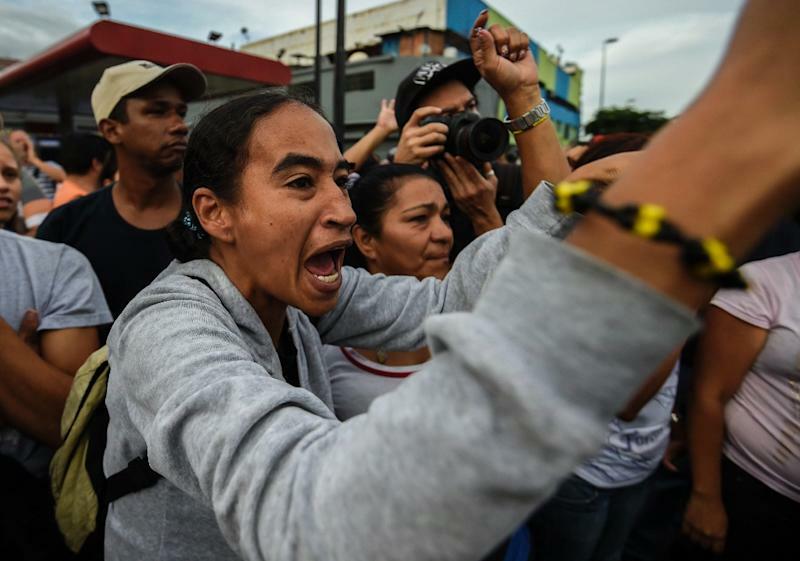 The opposition blames Maduro for an economic crisis in which Venezuelans are suffering shortages of basic foods and goods. Maduro blames an "economic war" allegedly waged against his leftist government by the business elite. He accuses the opposition center-right National Unity Roundtable (MUD) coalition of fomenting unrest to spark a foreign intervention to unseat him. He vows to defend the socialist "revolution" launched by his late predecessor Hugo Chavez. Even in troubled Cumana, the government has its defenders. "This area is 100 percent Chavist," said Rafael Gutierrez, a community leader in the north of the city. "We have stuck by it in good times and bad. We do not understand why people in the community want to get involved in the MUD. They have been rejected more than once in elections." Venezuela is suffering an economic crisis brought on by the plunge in prices for its crucial oil exports. Maduro is resisting efforts from his opponents to remove him from office through a referendum. The president has warned he may decree emergency measures if confronted with violence. Such measures could prevent the recall referendum from taking place. Next week, opposition supporters will carry out the latest stage in their campaign from Monday to Friday. Those who signed an initial petition calling for a referendum must submit their fingerprints to the electoral authorities in order to authenticate their signatures. Of the 1.3 million signatures recorded by the electoral board in the initial petition, at least 200,000 must be authenticated to pass to the next phase. The next step will require yet more signatures to be collected. The government allowed some 300 prison inmates to hold a demonstration in downtown Caracas to argue that many signatures collected by the opposition were fraudulent. Wearing blue, yellow and pink prison uniforms and chanting "Fraud!" the male and female inmates were closely watched by the military. The list submitted by the opposition included signatures of "prisoners who never would have been able to sign, even if they wanted to," Prisons Minister Iris Varela said at the event. She said the supposed signatures of more than 1,300 prisoners were included.